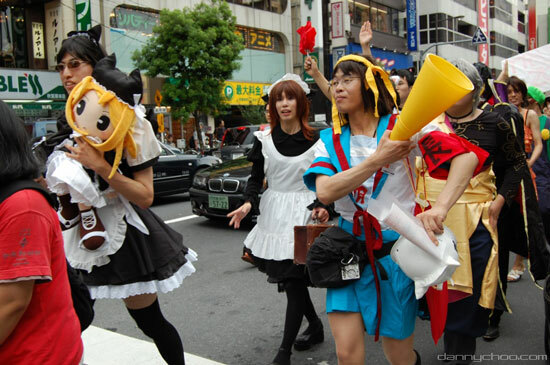 Akihabara Liberation Demo - otaku freedom!!! You are here: Home / Offbeat / Akihabara Liberation Demo – otaku freedom!!! 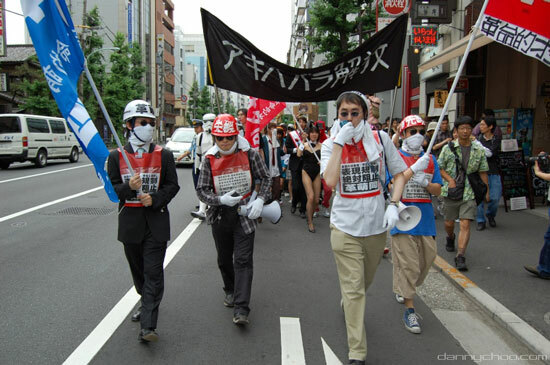 Akihabara Liberation Demo – otaku freedom!!! 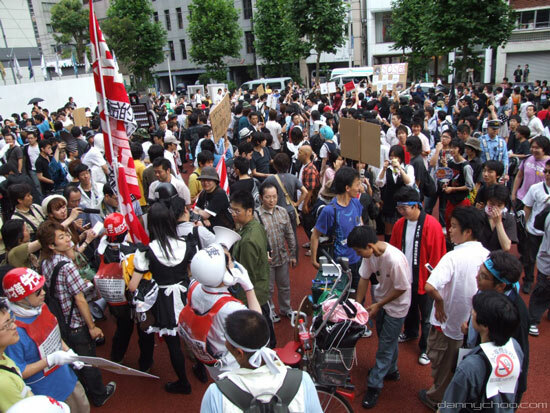 Hundreds of Japanese otaku took part in the Akihabara Liberation Demonstration last Saturday to protest against otaku discrimination. 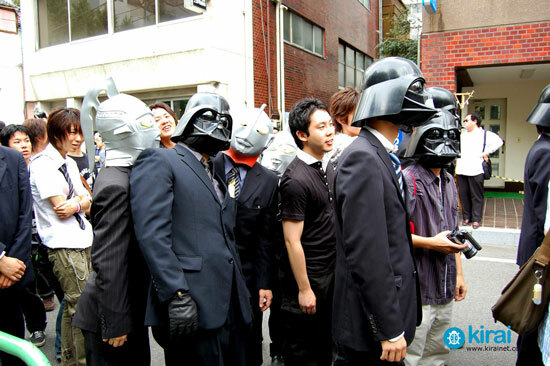 Otaku is a Japanese term commonly used to refer to people with obsessive hobbies, mostly with anime, manga and gaming. 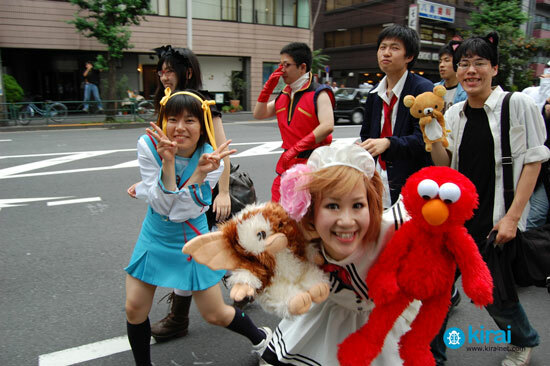 Tokyo’s Akihabara neighbourhood (often known as Akiba) is a popular gathering place for otaku. 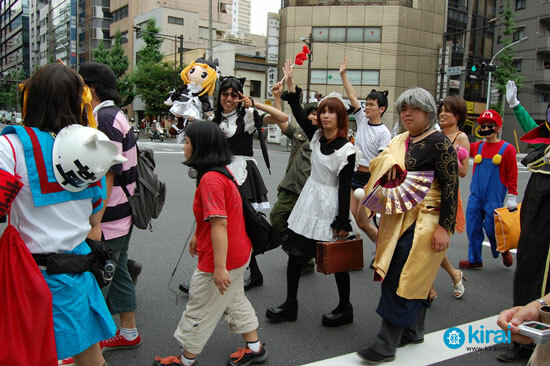 They claimed respect from traditional media that sometimes treat otaku as criminals and also the Liberation of Akihabara and Otaku Emancipation. Lately many big department stores are conquering Akiba, little shops are disappearing, and with them the “authentic Akihabara spirit” is also being destroyed. – We make our own future! – We wont let anybody stop what we like doing! – In order to make enjoyment, lets stand together! I can understand their “struggle”, anime/gaming fans tend to be frowned upon by the traditional media in Malaysia too. 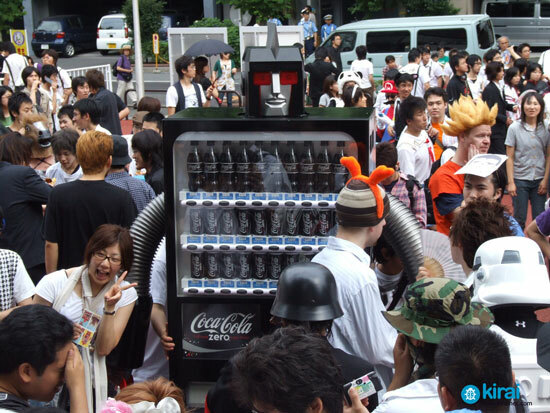 The situation is improving here as younger generations are more interested with anime (gaming is already a norm)… the word otaku is often used as a fun poke instead of insult.